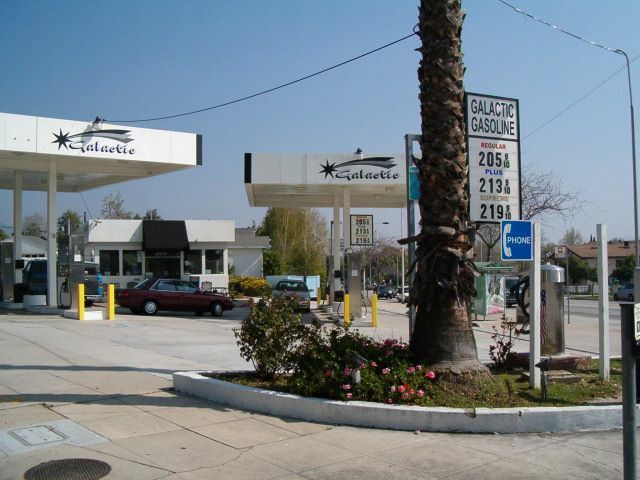 Tulare and Keystone converge in Burbank, California, was a former CHEVRON. In fact, the gas grades offered are still the "Chevronic" Regular, Plus and Supreme. Possibly the volume wasn't high enough for Chevron. The station actually does offer some snacks and such. and at least they have a phone for E.T. to use! Photo taken in early March 2004 by J. Eric Freedner who also contributed these notes.